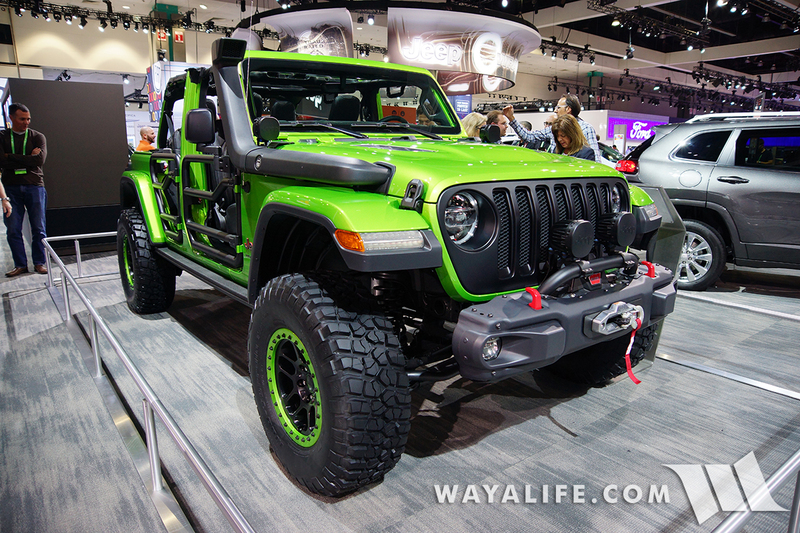 Jeep used the 2017 LA Auto Show to do more than just reveal the all new JL Wrangler, they also used it to show how Mopar is all ready to sell aftermarket parts for it. 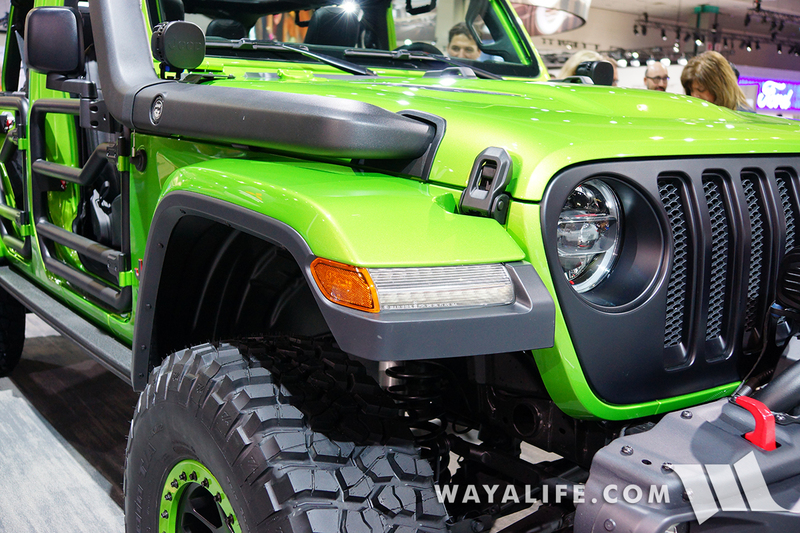 Of the JL’s they had on display, this Rubicon Unlimited in a gorgeous Mojito Green metallic and outfitted with just about every Mopar part made for the JL to date including a 2″ lift and snorkel and man, it looked absolutely awesome and ready to rock! 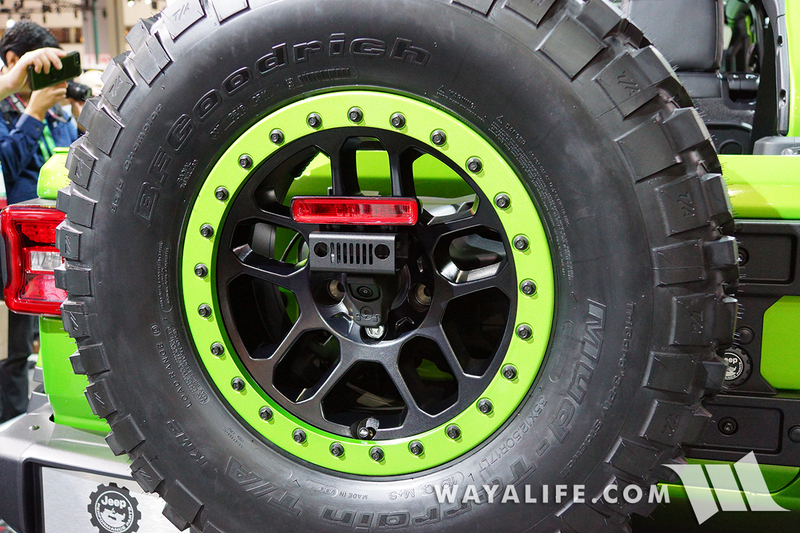 Did I mention how much I love the color on this thing – man, I so wish it was available when we placed our order. 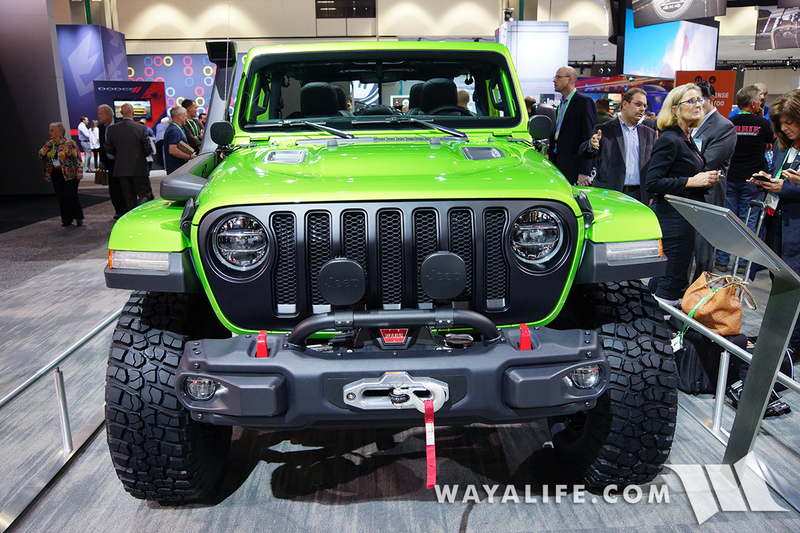 It was nice to see the front bumper on this JL Rubicon with the end caps removed to make it into a stubby. 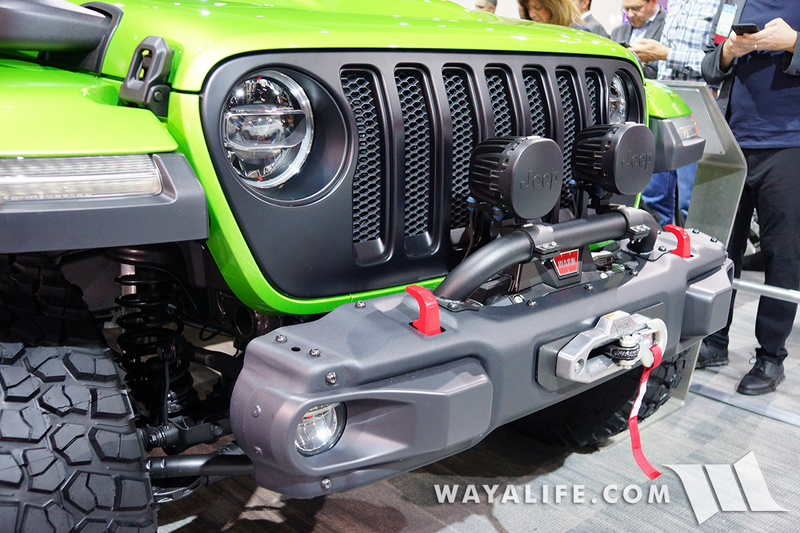 Here you can see how the Mopar snorkel still works with the higher Rubicon JL fender. 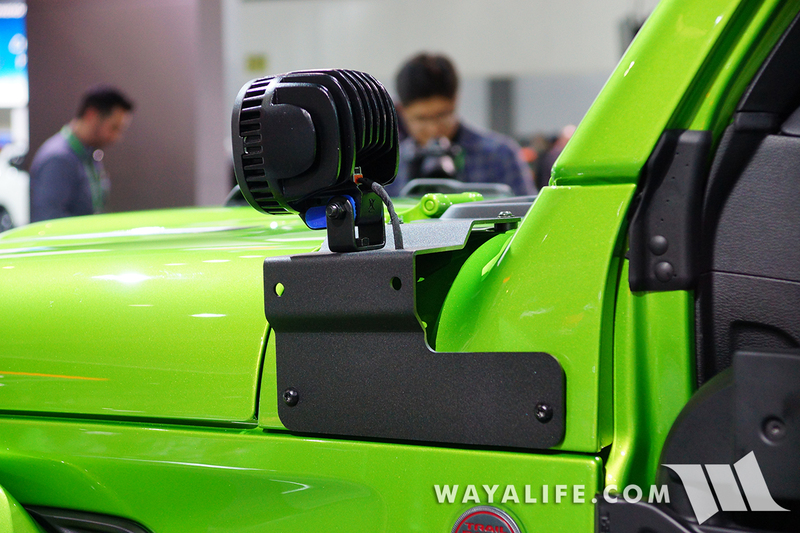 Even though the A-Pillar no longer has bolts to work with, Jeep made sure to include bolts on the cowl so that you can still install aftermarket products such as light brackets. 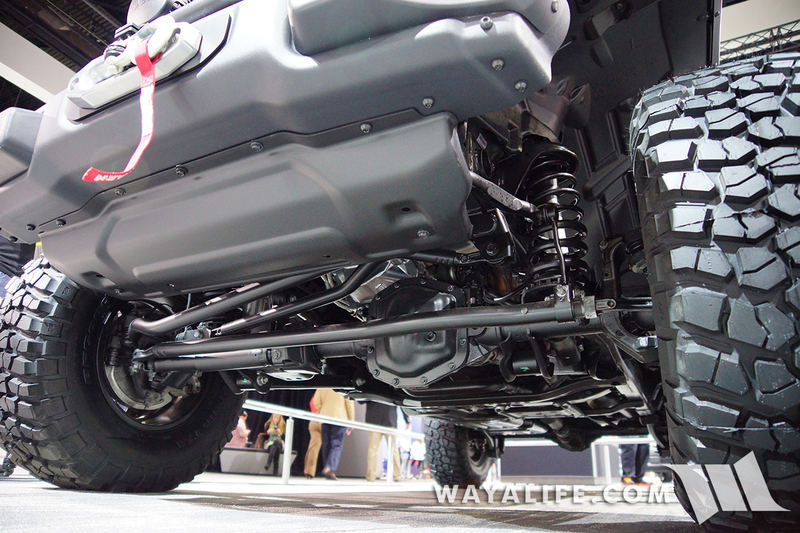 Shot of the front suspension system and axle. 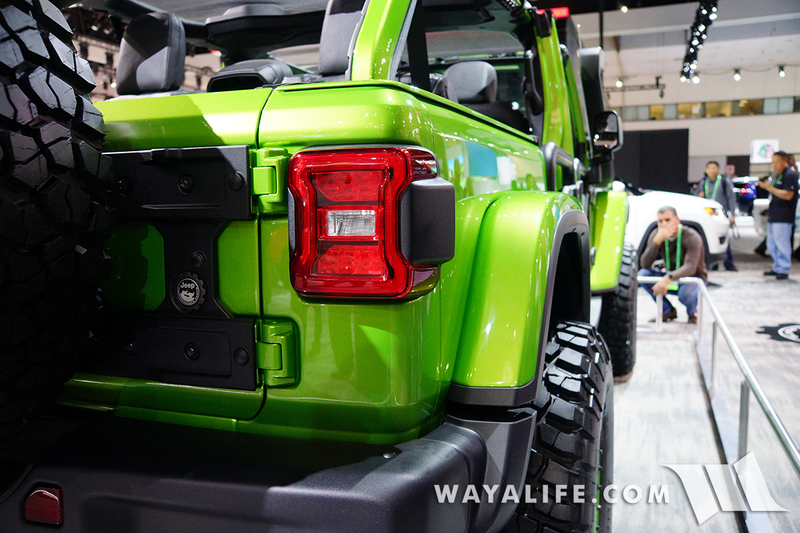 A view of the rear end. 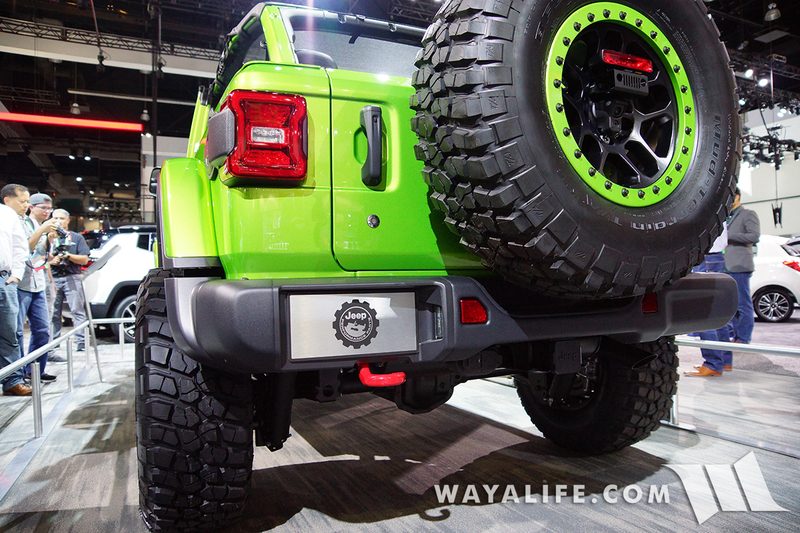 3rd brake light relocation above the back up camera. 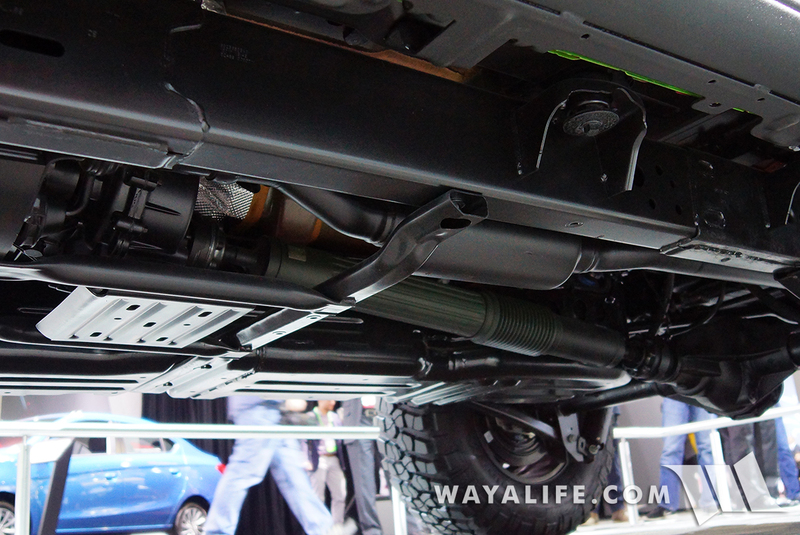 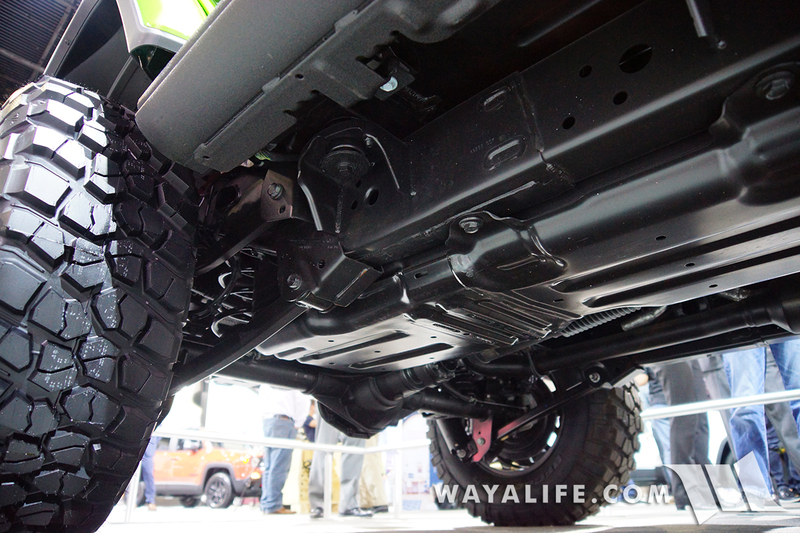 Here’s what this JL Wrangler looks like from under its rear end. 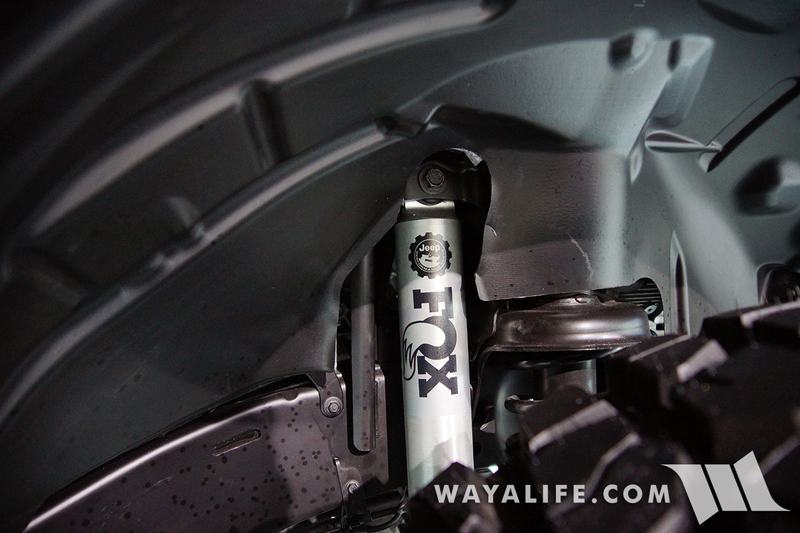 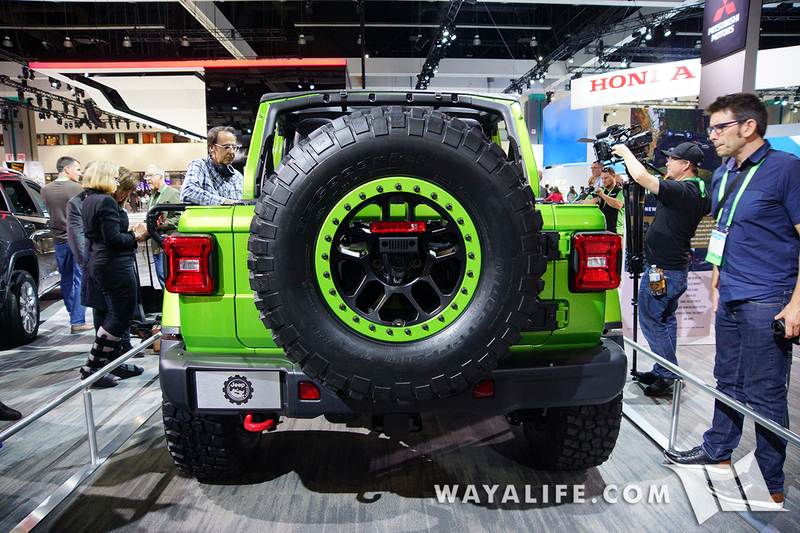 So nice to see how much room there still is under the fenders even with 35″ tires installed. 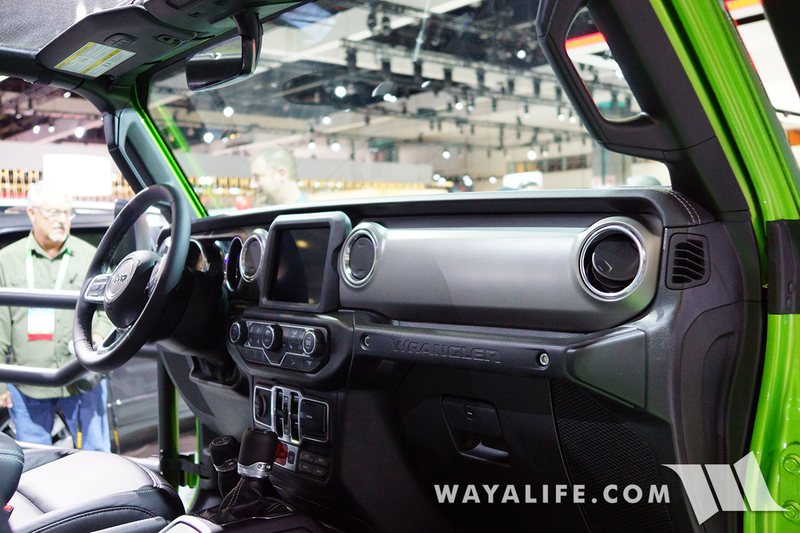 Here’s what the dash looks like with silver trim instead of red. 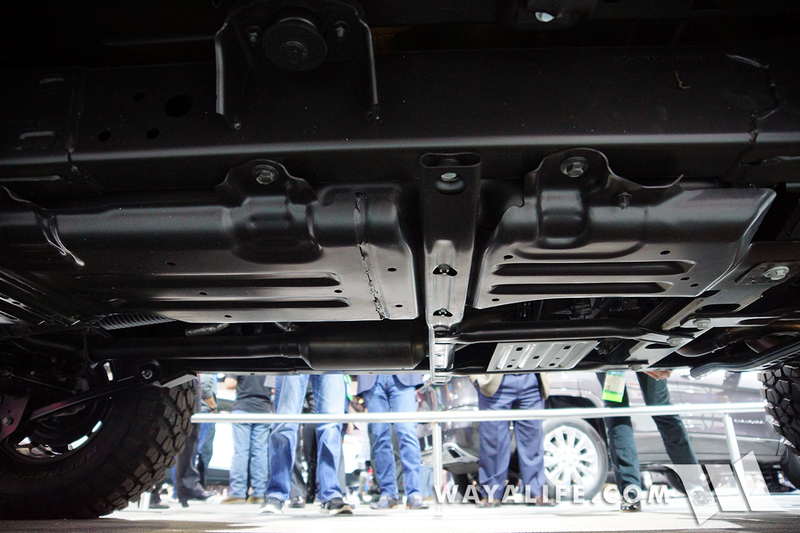 View of the skid plates under this JL Wrangler. 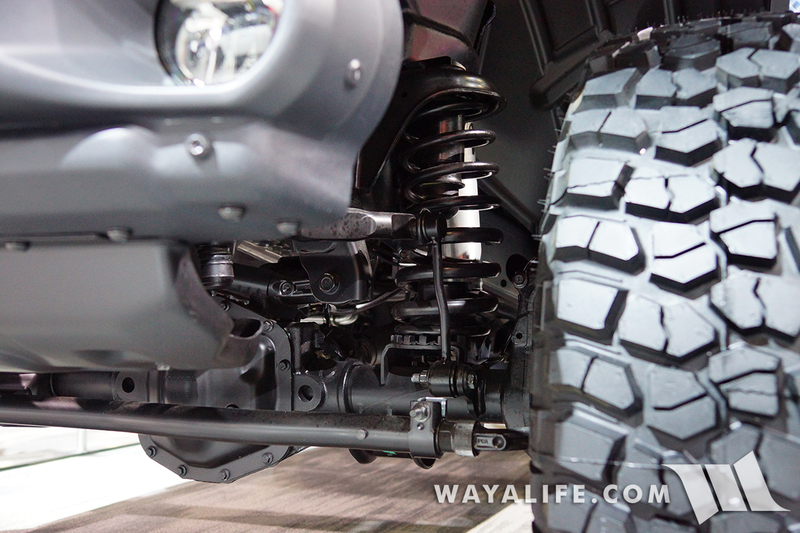 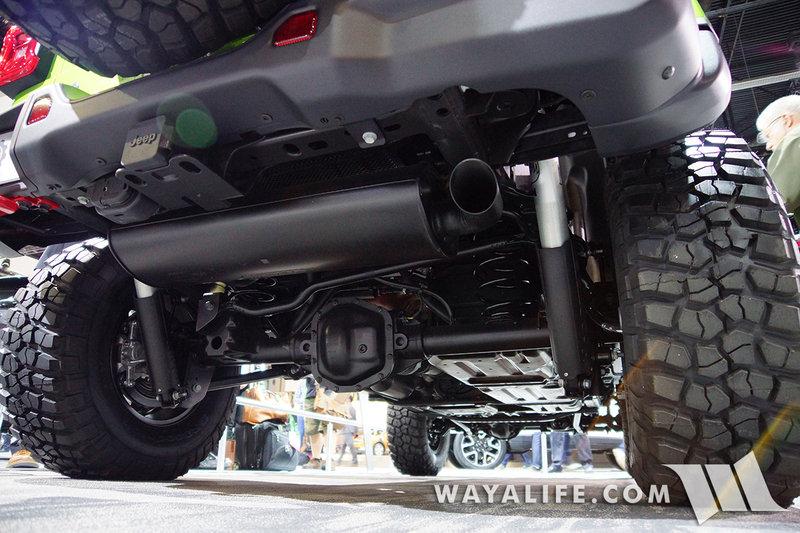 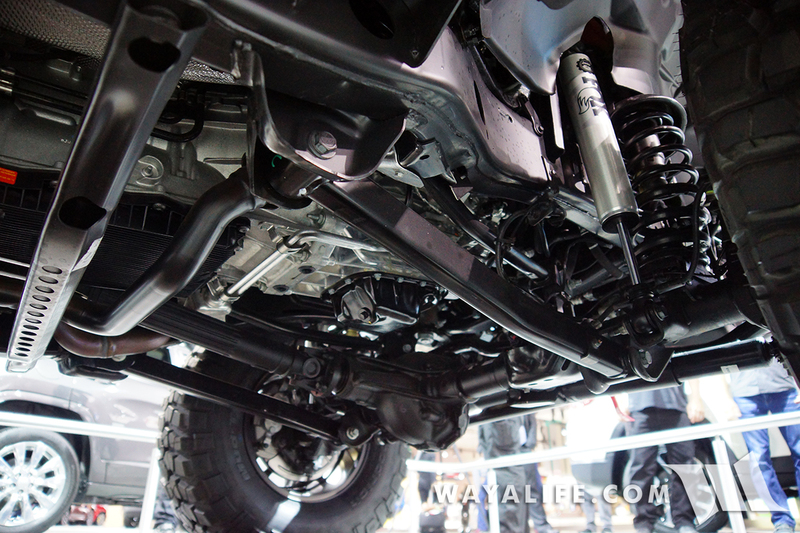 Here’s what the front end of the JL Wrangler looks like from underneath the middle of it looking forward. 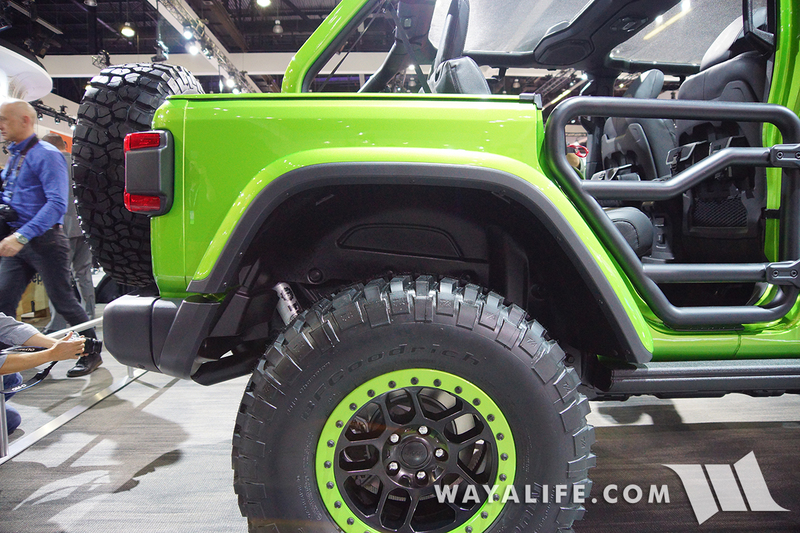 And what it looks like looking toward the rear. 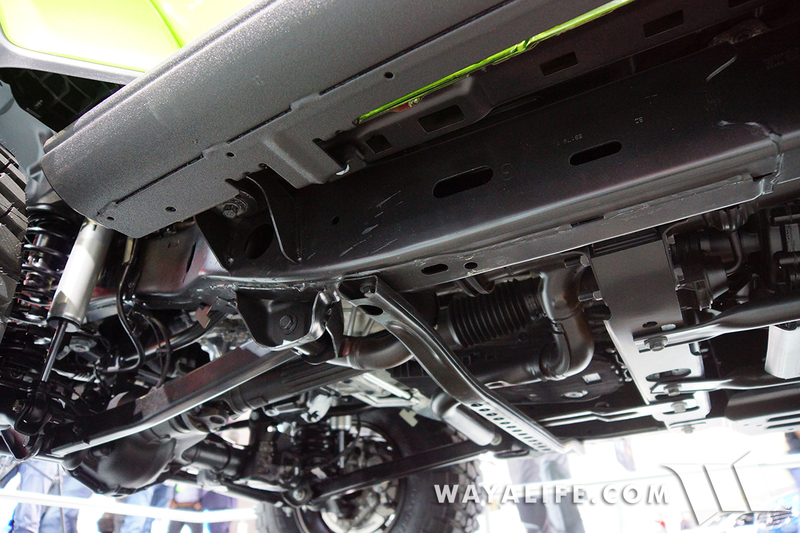 The JL Wrangler with a 3.6L motor still has an exhaust loop on the driver side but one nice improvement is that the exhaust cross over has been changed so that the front drive shaft no longer makes contact with it when lifted. 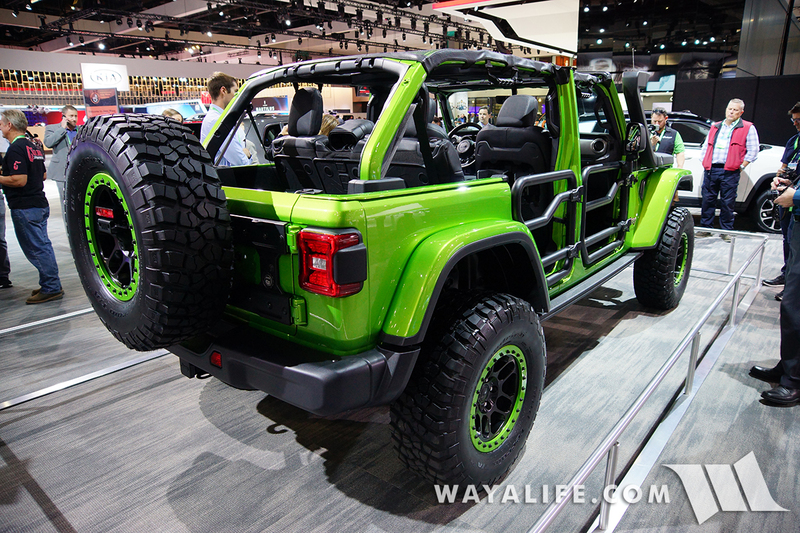 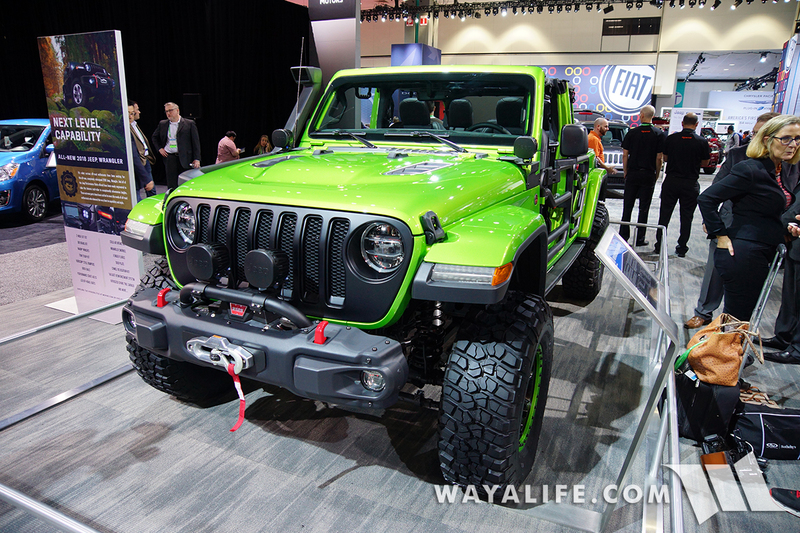 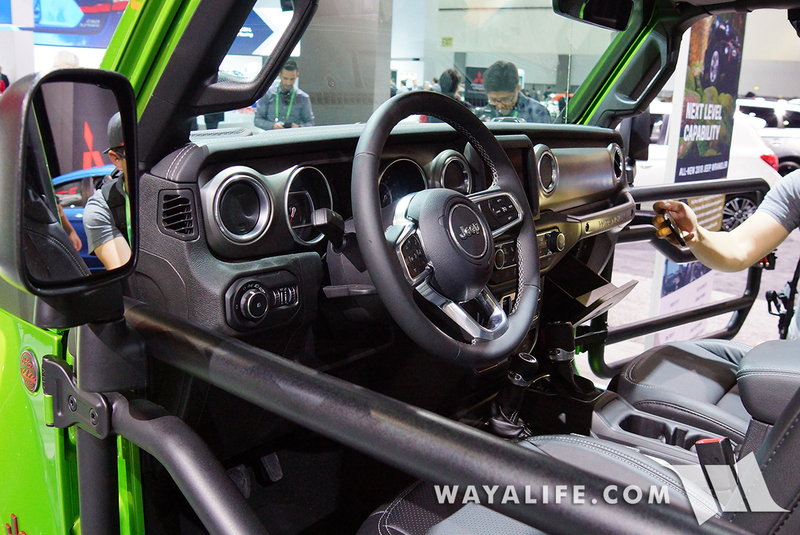 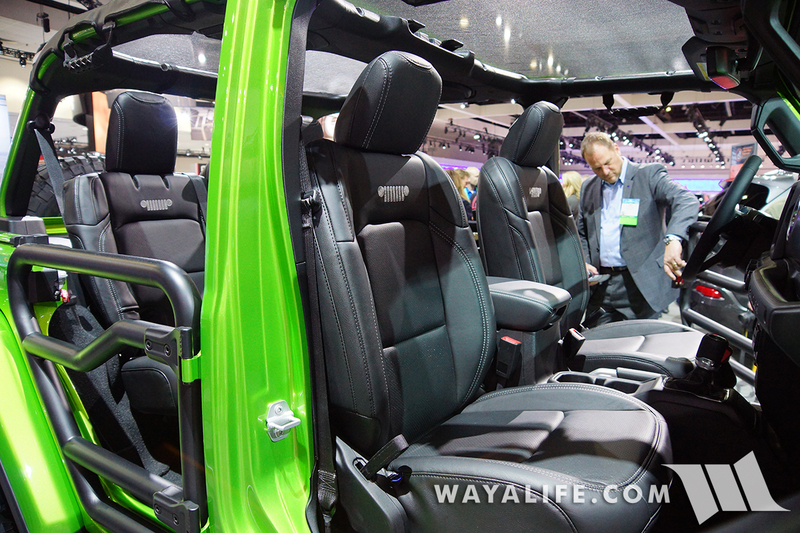 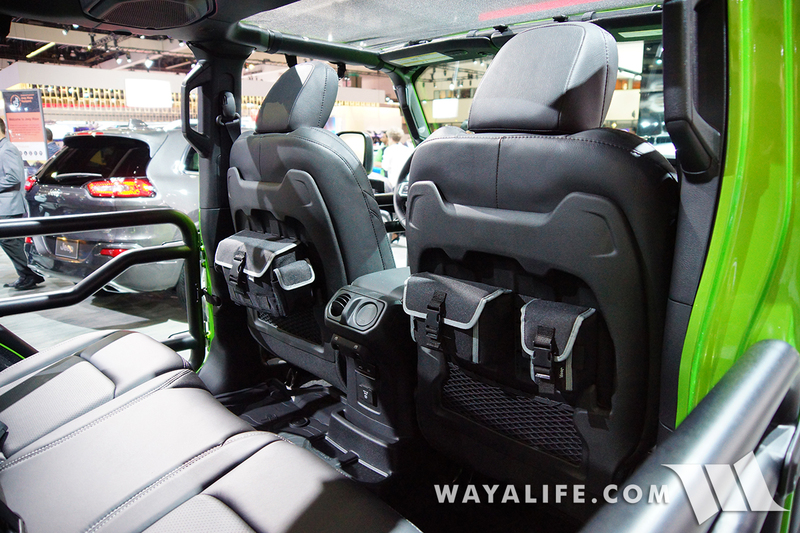 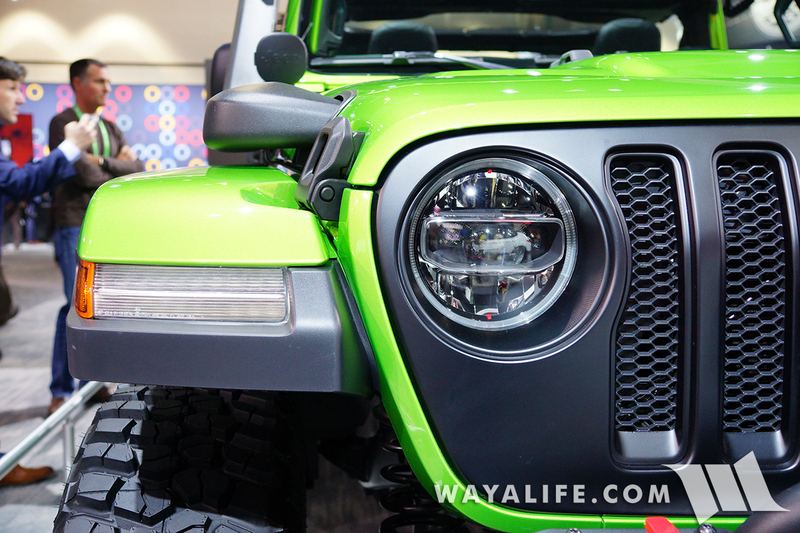 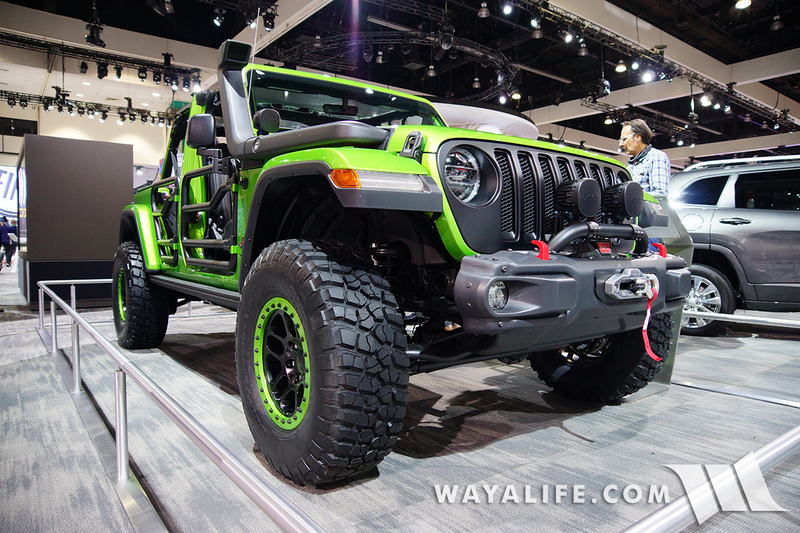 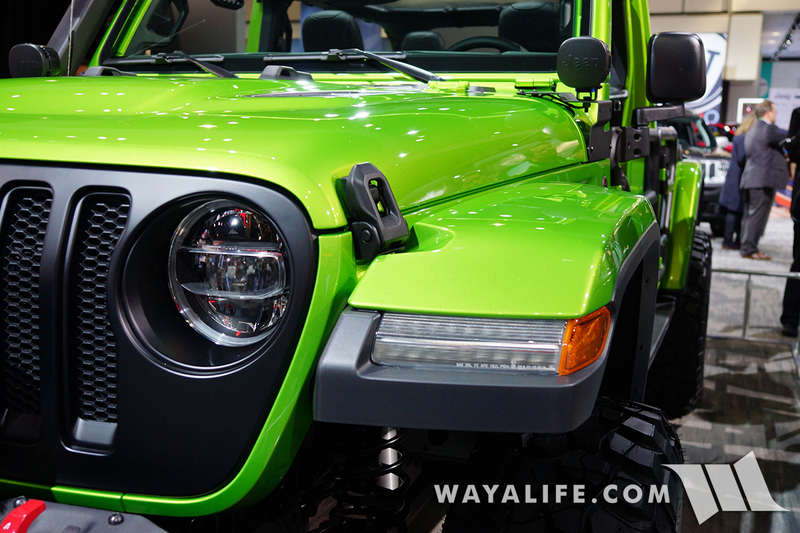 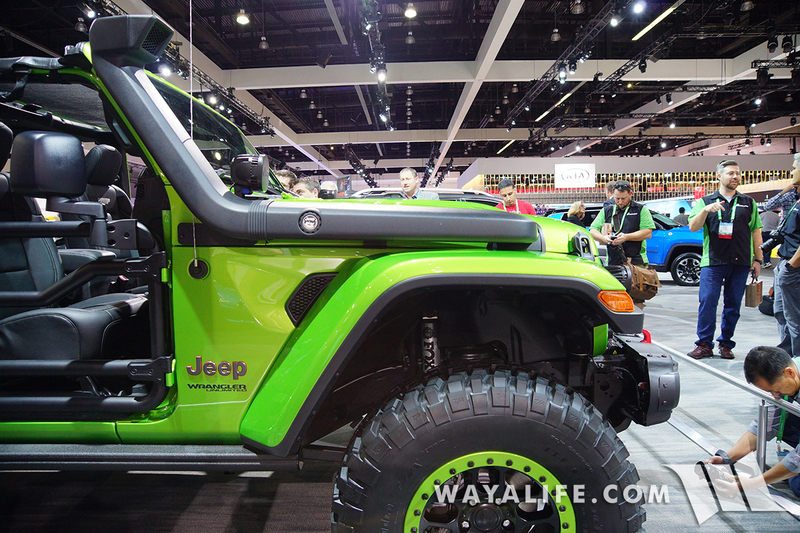 Be the first to comment on "2017 LA AUTO SHOW – Mojito Green Jeep JL Wrangler Rubicon Unlimited"